Its week 2 of the “One Room Challenge” and I’ve made some good progress. I don’t think I’ve already mentioned this, but I also work full time. So my only time to work on the room is the weekends. With that said I’m happy with what I was able to achieve this past weekend! I already cleared everything out of the room the previous week. So this weekend I started my faux Shiplap wall. But before I did that I visited Lowe’s to stock up on supplies. 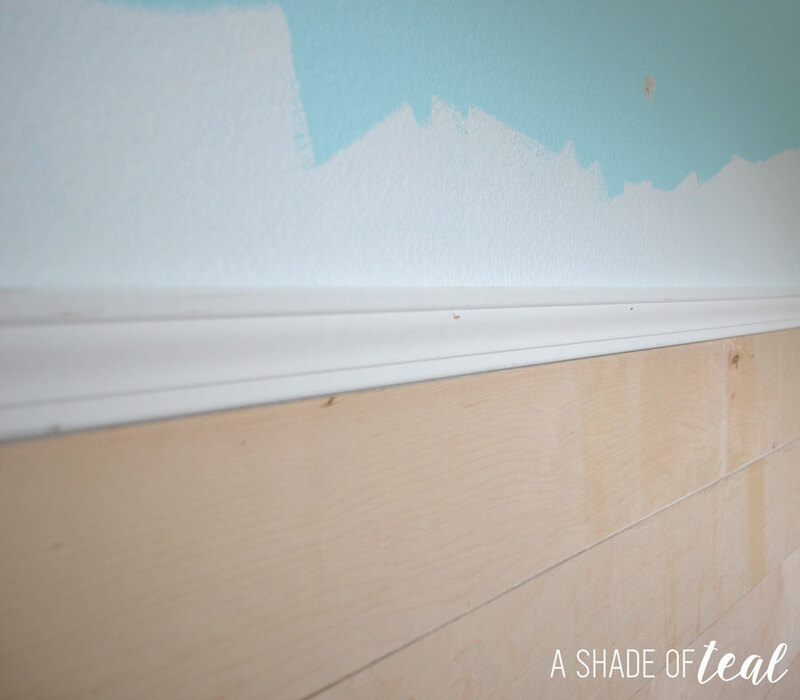 My list of supplies needed for my Nursery makeover was pretty big; luckily my husband joined me to pick up all the supplies. I can’t wait to put all these items to use! 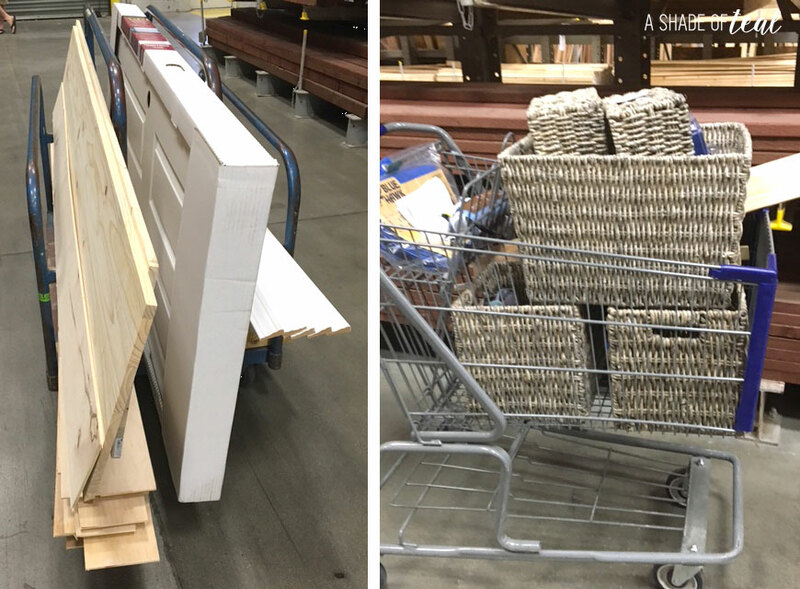 A huge Thank You to Lowe’s for sponsoring my One Room Challenge makeover! 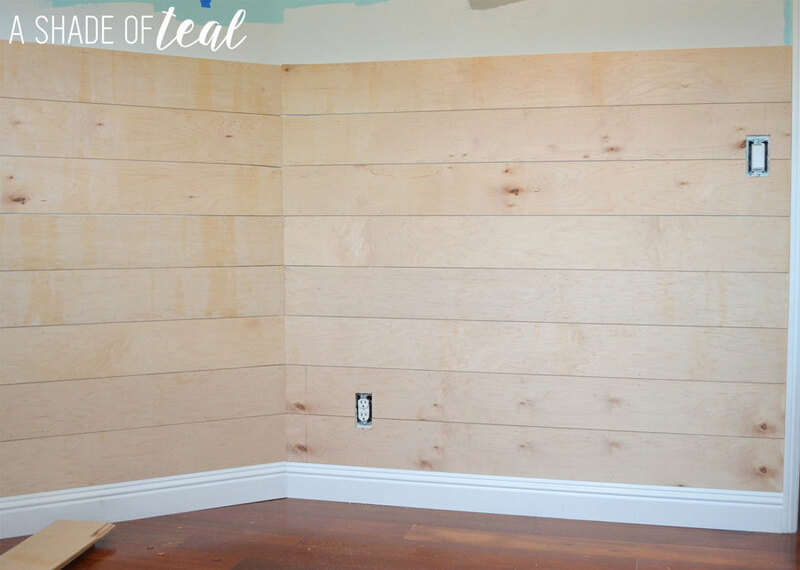 For the Faux Shiplap wall we purchased four 1/4″ plywood sheets and had Lowe’s cut them down to 6″ wide strip’s. This is what 4 sheets look like all cut up! It took about 20 minutes to cut them all, but that’s much faster than what I could do at home on my table saw. Plus it’s much more convenient to have someone else do it! Once we were home I wasted no time and started priming the lower half of the wall. My reason for this was because the current walls were aqua blue and even though the shiplap would cover it, I didn’t want to see any blue showing through the slats. I was able to get the entire shiplap up plus the molding trim. I also caulked the molding & seams along with spackled in all the nail holes. I’ll share a more detailed tutorial later. So that’s where I’m at today. I’m really happy with my progress and hope to have the walls painted by this weekend. I know I only knocked 1 thing off my list, but that was a huge task. 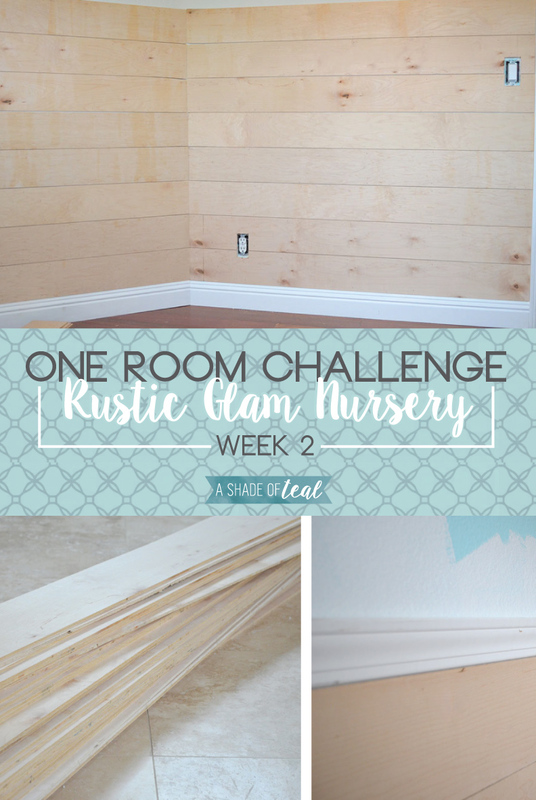 Join me next week for more progress on my Rustic Glam Nursery. This is awesome! LOVE the boards you added to the walls! Excited to keep following along the process! You’ve made some great progress! We are just starting to prep for paint, and after that I’ll be doing a faux shiplap wall too. Hopefully it’ll turn out as nice as yours! 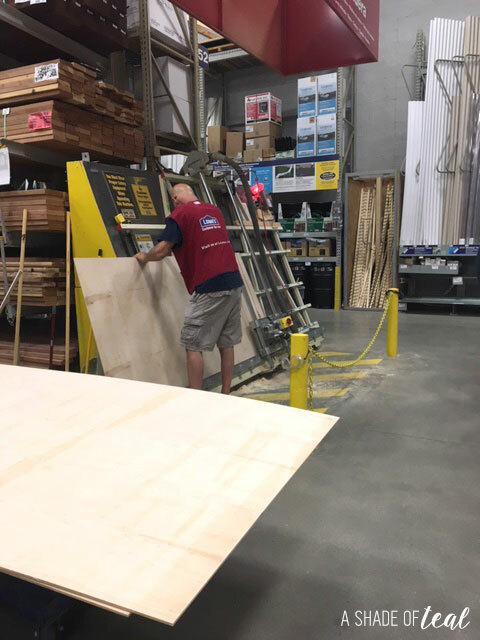 Can I ask why you used plywood rather than buying say, 2 X 4’s? I’m wondering if it’s less expensive/easier to work with because I’m trying to get my husband to shiplap the ceiling in my kitchen. Thanks-the room looks amazing so far! I don’t think you want to put 2×4’s on your wall or ceiling, to me that would be too thick. The plywood I used was only 1/4″ thick so it’s not too heavy. I’m not sure if its cheaper but to me its easier to work with. 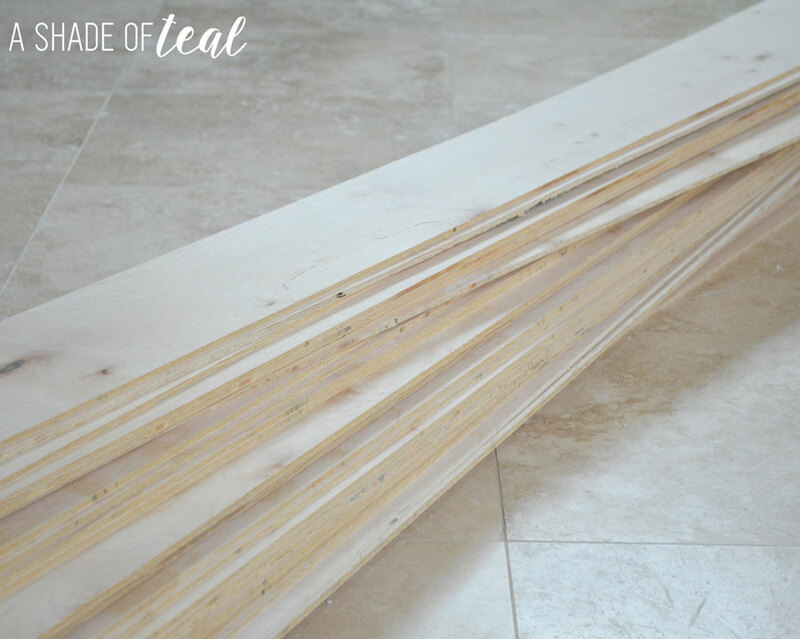 I have used actual shiplap before that was about 1/2″ thick and it was relatively easy to work with except I felt like I needed to add a lot more nails to secure it in place. LOVE the shiplap, Katy. It’s going to look so cool in your nursery especially with the other colors you’ve picked for the space. Shout out from one full-time-day-job-working blogger-by-weekend to another! You can do it! Already you’ve made great progress. I can’t wait to see more! Loving the progress! The shiplap looks fantastic! I can’t wait to see your list next week!